"Oops, good catch. We accidentally used a version of the art that wasn't final for this preview. It has been updated with the correct image. Thank you for alerting us!" The image has yet to actually be updated at the time of writing this, but maybe it's just delayed and will be there soon. I'll gladly wait for the finished piece. That's nice. I saw the fixed version and liked it. Have they said if they are planning additional statues or are they done with the the two they did and the print? I'm curious but also worried about additional releases. I'm seriously hoping that Sideshow will release statues of the remaining main characters. So... Anyone get one or both of the statues? I got both of them. Got a mail from Sideshow a while back that Mumm-Ra will be released earlier than expected. It should be Oct 2018 whereas it was Dec/Jan before. Excited to get these. Just hope that they do release more than just these two otherwise it will be another incomplete set. I am glad that I got these and cannot wait to see what it looks like. I got both the exclusive versions. Have a small peek at Cheetara. Funny how they tried to make Lion-O more animal-like, but not Cheetara . I think she looks amazing and you are right. Cheetara does look more human like. I will definitely be getting her. I received my Mumm-Ra statue on Monday and it is one amazing piece. I got Lion-O as well. I am just glad that they are continuing the line. 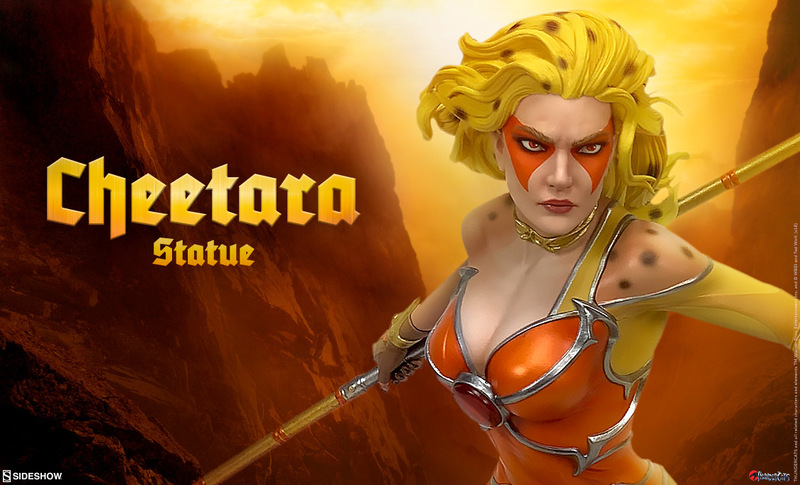 That's a pretty good statue design for Cheetara. It showcases her warrior status. I did a Review for Mumm-ra. Sorry I was working out of my elements here so i feel its a bit off..